You know pro softball players are doing it for the love of the game. How else can you explain playing for salaries that range from about $3000 a year on the low end, to the dizzying upper reaches of around $12,000 a year. With wages like that, you're gonna' need a second job. And that's not always easy, because unless you're a teacher, how many employers are going to give you the summer off to go play sports? That's just one of the dilemmas facing the women of the NPF (National Pro Fastpitch League). There's also the instability of the league itself. Started in 1976 in part thanks to the attention brought to women's sports when women's tennis player Billy Jean King beat male player Bobby Riggs, the league has since had many ups and downs. Teams have come and gone, and the league itself has gone dormant on a few occasions when sponsorships dried up. 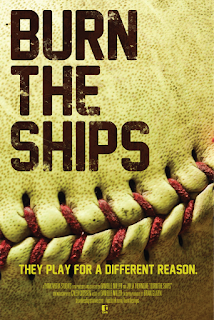 As the documentary BURN THE SHIPS begins, there are five teams in the league. After a reasonable amount of time spent detailing the history of pro women's softball, the film moves on to it's central story – the struggle of underdog team the Akron Racers to make it to the championship. It's a classic sports underdog story of a sort that's hard to resist, even if (like this reviewer) you're not much of a sports fan. And from a socio political and cultural standpoint, it's also interesting (and disheartening) to see how female athletes are often relegated to second class status even when they're first rate players. But the film, co-directed by Julia Chepke Thorndike & Danielle Miller, never wallows in self-pity. The women of the Racers, and especially their coach/owner Joey Arrietta, are too busy trying to succeed at the game they love for that. 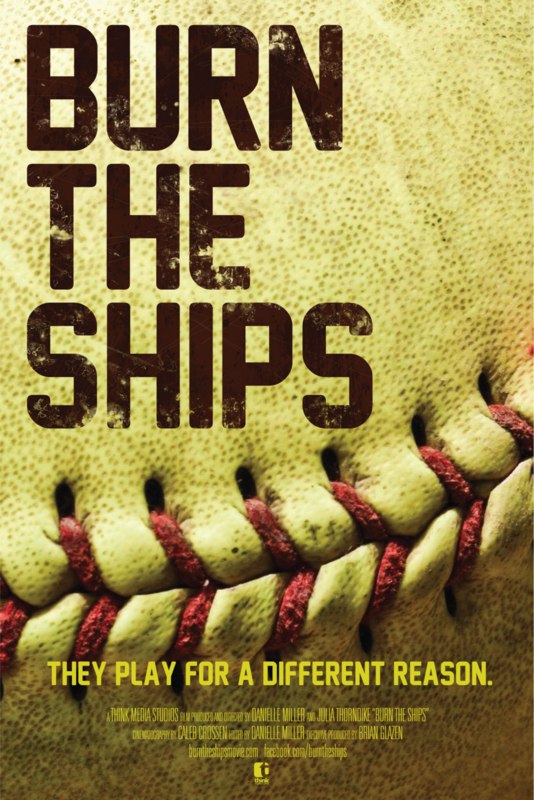 But whether or not the team achieves their goal, BURN THE SHIPS is a home run. 3 ½ out of 4 stars.